But I guess I don’t know why I was surprised. Here’s the play-by-play of what happened after I published the last post. 1. I called the USPS and found that we could ship shoebox sized boxes for $60-$80 a piece. 2. I was a little disheartened. 3. Within minutes of my post office phone call I received a fb message from someone wanting to donate money for shipping. It was God reminding me he’s got this covered. 4. That same day, my mom came across a story in a Grimes Living publication about a group from Des Moines going to Kampala, Uganda this summer. 5. 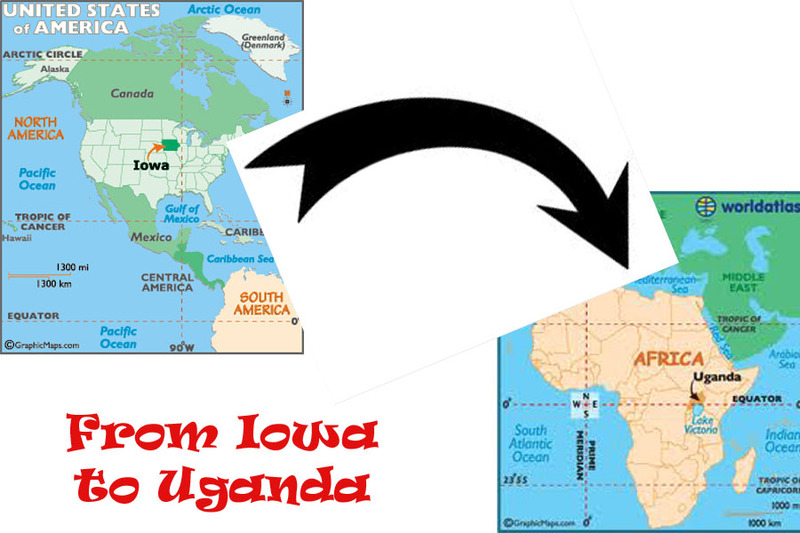 I emailed Florence in Uganda to see if she had any way of traveling to Kampala if we could get a shipment as far as the Watoto church in the capital city. 7. Mom contacted the church in Des Moines, and though we don’t have all the details worked out, it looks like we should be able to send a piece of luggage with them. So instead of hundreds of dollars, it will probably be more like $100 or maybe less. Even though I was in the middle of all this as it was happening, I still get goose-bumps when I think about it. Our God is so amazing!